Everyone in the metalworking industry is aware of the problems associated with the machining of welds and tarnishes on internal angles, the removal of burrs in hard-to-reach areas, the smoothing of welds in containers with small apertures, etc. The biggest problem is the accessibility of the points to be ground on the workpiece. 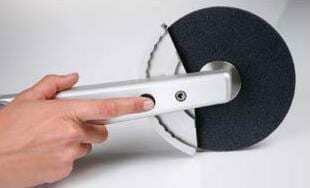 Often the head of the angle grinder is in the way and the protective hood of the device prevents the grinding material from reaching the desired corner completely. In addition to the poor grinding result, the tools used cannot be used to the end, which in turn is reflected in increased costs. 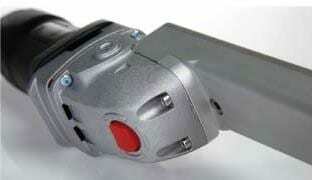 The solution to these problems is the new fillet seam grinder FAPI-FINIT-EASY. With this hand tool and the corresponding Picard tools, even the most difficult machining areas can be easily machined. The fillet seam grinder FAPI-FINIT-EASY has a direct connection of the arm to the drive motor. This direct connection makes the connection between the two parts extremely compact and stable. The intelligent arrangement of the extension to the motor ensures smooth, low-noise operation of the unit. For reasons of ergonomics, the arm and machine were deliberately chosen not to be completely aligned in one axis so that the operator’s hands do not have to be placed in an unnatural straight line. The result is trouble-free and comfortable operation. The extension arm, directly connected to the drive motor, allows the FAPI-FINIT-EASY fillet grinder to reach even the most inaccessible angles of the workpiece. The 25 mm end of the arm is the smallest on the market. With it, the FAPI-FINIT-EASY fillet grinder can even be used for machining acute internal angles of 30°. 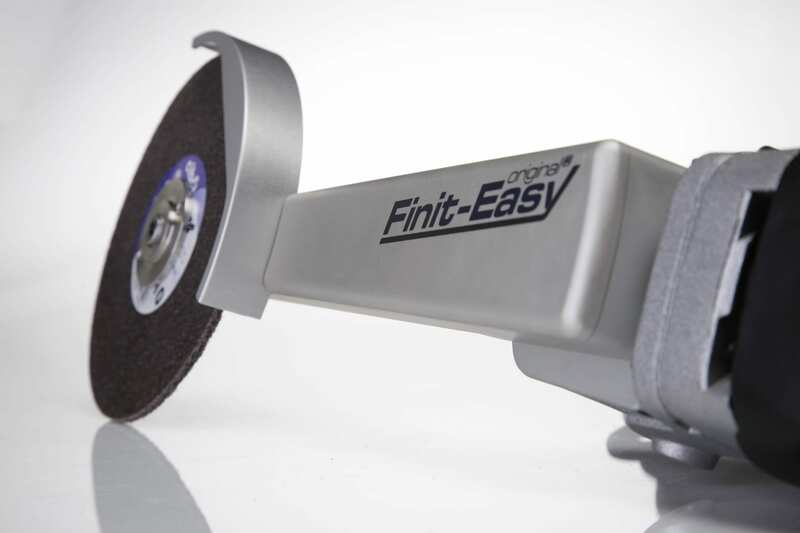 The new FAPI-FINIT-EASY fillet grinder is equipped with an almost infinitely adjustable protective cap. 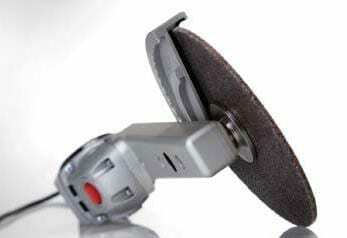 With a practical click and slide system, the protective cap can be swivelled at an angle of 90°. This allows the hood to be easily adjusted to the optimum position at any time, no matter how the machine is turned and turned. This ensures safe use without interference from the protective cap. The 1,200 watt drive motor has a double toothed belt drive. It is a powerful motor that cannot be stopped even at a few revolutions. In order to transmit this power, a very robust Multi-V belt runs through the extension arm with a built-in, safe slip clutch. As the slip torque of this drive belt is reached just before the highest torque of the machine, the drive belt provides optimum protection for the motor and operator. The motor speed can be adjusted from 1,300 rpm to 4,000 rpm. 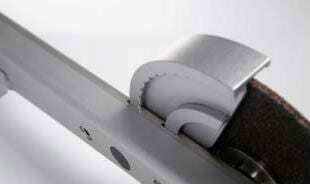 The extension arm of the fillet weld grinder FAPI-FINIT-EASY consists completely of anodised aluminium. The flanges used to attach grinding tools to the M14 thread are made of stainless steel. This makes the machine completely safe for use in grinding and polishing stainless steel. No contamination can occur if any part of the machine comes into contact with the stainless steel workpiece. The stainless steel flanges make it possible to use grinding tools with a wide variety of bores and widths without difficulty. During the development of the fillet seam grinder FAPI-FINIT-EASY, quality, customer benefits and a cost-effective design were of utmost importance to us. With the new FAPI-FINIT-EASY fillet weld grinder, we have succeeded in balancing quality and customer benefit on the one hand with cost-effective pricing on the other. 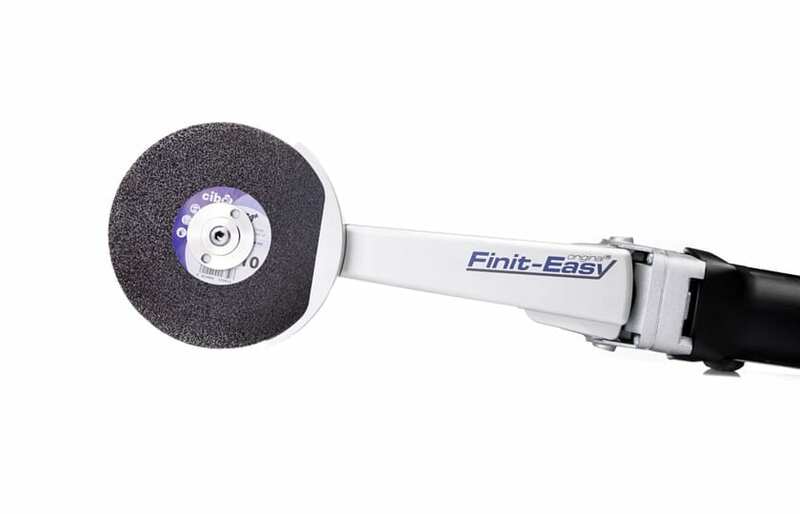 The FAPI-FINIT-EASY fillet grinder offers you the freedom of movement you need for professional surface treatment of hard-to-reach areas and angles. The innovative extension arm of the FAPI-FINIT-EASY fillet grinder makes it child’s play to machine inner angles and remove welds. With its very powerful drive and its compact form, the fillet weld grinder FAPI-FINIT-EASY can be used both for light finishing operations and for “heavy-duty” tasks in industry. Regardless of whether you have to machine stainless steel, aluminium or special alloys, the FAPI-FINIT-EASY fillet grinder is the right machine for this purpose.